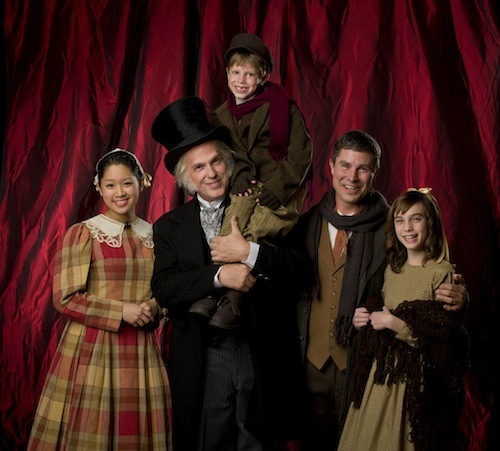 In this Performing Arts Q&A session I speak with Michael Baron, the director of Lyric’s A Christmas Carol. How do you describe A Christmas Carol to those unfamiliar with the story? It’s the classic Charles Dickens Christmas story set in Victorian England of how the miserly businessman Ebenezer Scrooge changes his life to become a man with a generous heart who has compassion for others. He learns this lesson by visits from several ghosts which show him his past, present, and future life. How does having a younger Scrooge affect the story, the characters, and actors? I purposely cast a younger Scrooge who is not at the end of his life so that when he does ultimately change his cruel ways, he still has a long life of happiness ahead of him. Jonathan Beck Reed plays him in his mid-late sixties instead of 80’s. It also allows for a more vigorous performance which make the show more visceral and exciting for everyone on stage. What acting traits make a good Scrooge? 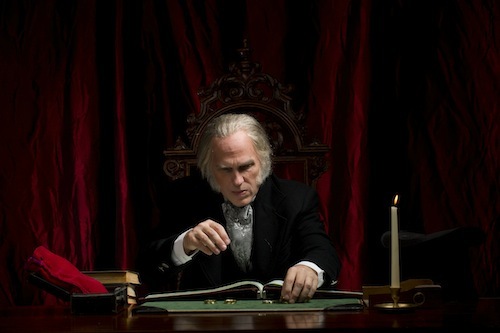 Scrooge has been compared to playing Shakespeare’s King Lear. It is the ultimate role for an actor because each night you never leave the stage and are able to take a journey from greed to redemption. 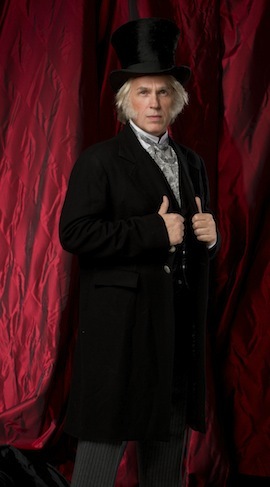 Jonathan has all of the traits of a great Scrooge- a detailed performance, the ability to justify his negative actions towards others, a sense of humor, wonderful use of the Dickens language, and an open heart so that you truly believe his transformation and love of Christmas in the end. 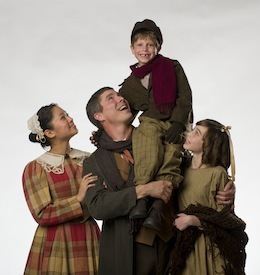 What other elements are special about Lyric’s production of A Christmas Carol this year? We’ve pulled out all the stops for this production. The set and costumes are stunningly beautiful. There is lots of special effects and magical effects to highlight the supernatural elements of the story. The music is full of carols that are vibrant yet traditional. And the show is true to the original text but told with a modern sense of pace and excitement. In addition, the show is truly environmental putting the audience right into the middle of Dickens’ story. Not only is it great theatre, but this production will bring faith to your soul that man does have the ability to change from a life of greed and isolation to one of charity and kindness. And it’s immensely entertaining for the entire family. I think the most challenging aspect was coordinating the many parts of the show into a cohesive whole- lights, sound, flying, snow, puppets, costumes, music, children, props, etc. It’s by far the biggest show Lyric has done at the Plaza Theatre, but it’s definitely been worth it. How did you grow as director while working on this show? Each time I work on A CHRISTMAS CAROL I learn more about the script, the story, and new stage techniques to bring it to life. It’s like a directing playground each time I stage it. There is so much to choose from, but getting it to be seamless is always a challenge. What advice would you share to other directors looking to put on production of A Christmas Carol? Make sure you love the original story, understand the journey of Scrooge, and love working with large groups of people. I found it to be wonderfully rewarding for everyone on stage and in the audience. I think that is why it’s still so popular today. Michael Baron, director of A Christmas Carol at the famous Ford’s Theatre in Washington, D.C., directs this new production with over 20 Christmas yuletide favorites. Brimming with joyous song and dance, lavish scenery, authentic costumes, theatrical magic and lots of snow, Lyric’s new holiday production celebrates the timeless Spirit of Christmas. This is a beloved family holiday treat you won’t want to miss!